Pylon Reenactment Society at Fresh Produce Records in Macon, Ga. In Athens in the 1980s, they formed one corner of a holy trinity: R.E.M, B-52s and...Pylon. Though they broke up, for the first time, in 1983, Pylon's itchy, dancey influence can still be felt around the world of what we now call indie rock. Today, original Pylon vocalist Vanessa Briscoe Hay helms the Pylon Reenactment Society, a crew of like minded Athens musicians who get a kick out of bringing the music of Pylon back to old audiences and introducing it to new ones, too. 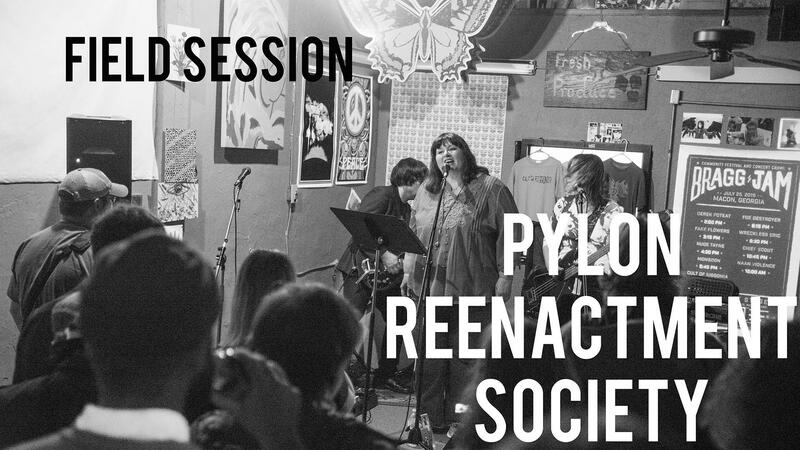 Look for a Pylon double live LP in July, but for now, enjoy these three tracks from the Pylon Reenactment Society.